Howard Johnson Zombies - Sauro Motel	• Sauro Motel - The Collected Writings of Bobby Sauro. Although we’re a literary motor inn, we stand in solidarity with our roadside sisters and brothers, and when they leave us, it’s up to us to keep their memory alive. 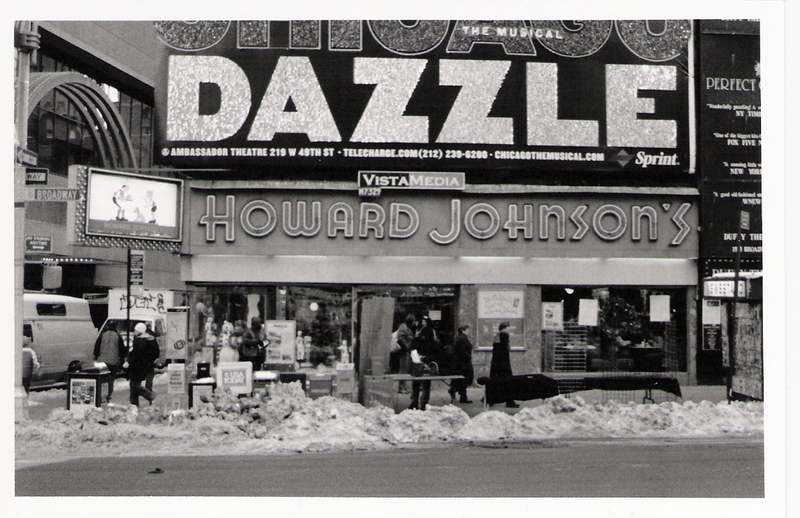 With that in mind, here are some Howard Johnson Zombies — and where we encountered them. The shells are recognizable, but they stumble forward, stripped of their original identities. A HoJo Ghost – Sweet Cupola! This gem (pictured above) was roadside, off I-75 in South Georgia. We have to say this is one of the most well-preserved HoJo Zombies we have had the pleasure of encountering. Probably could be converted back with just the flip of the sign. We regret not trying the burritos but imagine they came in 28 different flavors. Times Square has since been completely re-developed, so this is not technically a HoJo Zombie, but a total annihilation. This location had the most ethnically diverse wait staff of any HoJo’s we had visited. The Simple Simon and Pie Man sign (upper left) was one-of-kind; a sweet baker offering an orphan boy a fresh pie while his faithful dog looks on. 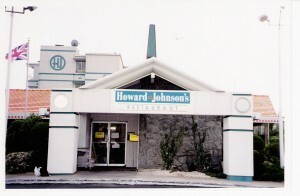 The HoJo’s in St Pete Beach, Florida was the last Howard Johnson’s restaurant in Florida. At one point during the 1970s, there were 100 Howard Johnson’s motels in the Sunshine State. We caught this one literally on the day it was being forced to take on the identity of a Carribbean Café. That didn’t last long. Seems like every time we visit, the restaurant has adopted a new theme. So, maybe it’s the Sybil HoJo’s. 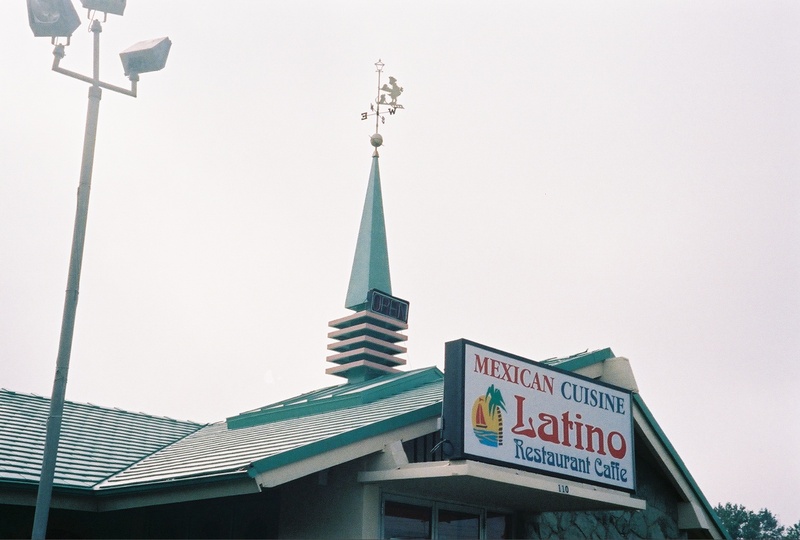 This next one made us sad – The Knights Inn, “formerly known as Howard Johnson’s,” and not a Knight in site. Last, but not least, the architectural wonder that was the Asbury Park HoJo’s. The only circular one we ever saw, it had a bar in the center and live music in the attic. 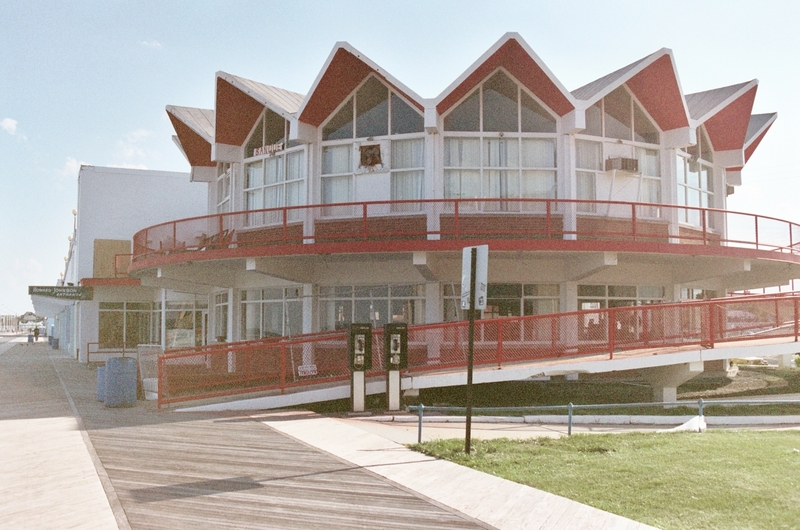 A more adult HoJo’s than many of its roadside sisters, it anchored the boardwalk and fittingly closed when the era it was born into passed. On our last trip to Asbury just 2 years ago, the building was alive, now a supper club; that night, it hosted a release party for a Joe Piscapo CD while Big Country played a concert across the street at Wonder Bar. I like to think that some aliens crash-landed in Asbury in the 1950s, looked around and said “Yes, this reminds us of home. 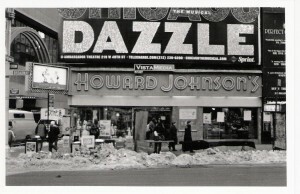 We’ll open the weirdest Howard Johnson’s and no one will notice.” Now that the HoJo’s is gone, I wouldn’t be surprised if they power up the saucer and blast off in search of tendersweet claims or frankfurters grilled in butter, to a galaxy suspended in time.